Former inter-county footballer and current Wexford u20 manager Eric Bradley announced the news via Twitter on Wednesday. A friend of mine is involved, Eric Bradley, that I would have played soccer and football with growing up. 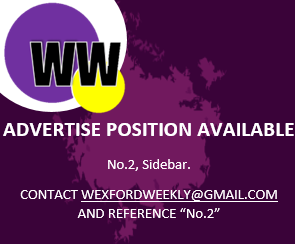 He was a former inter-county footballer and he’s involved with the U20s and he rang a few weeks ago wondering if I’d go in and speak with the lads and help out a few nights; just bring a bit of publicity and something else to it. I haven’t been watching a whole lot of Gaelic football over the years, since I stopped playing. It’ll be fun, it’ll be fun to see something a bit different and help in whatever way I can. I don’t know what I’m going to add to the mix but at least we’re talking about it. Alongside Bradley in the set-up is PJ Banville, Kevin O’Reilly and Brendan Kehoe who was ratified as manager in November ’17.